Oxford University offers Reach Oxford Scholarship for Undergraduates to learn any of the courses (except medicine) in the UK. 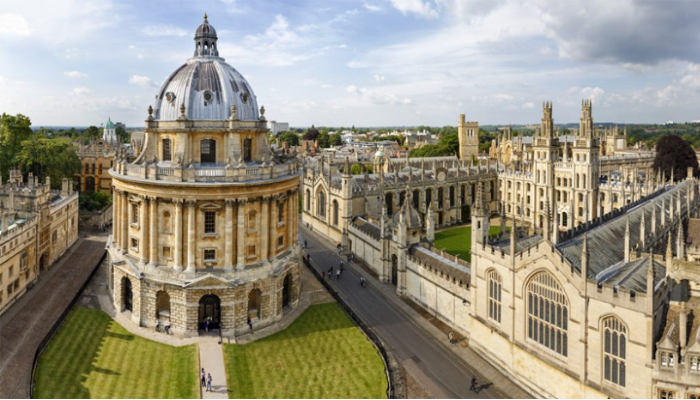 A number of Reach Oxford scholarships (formerly Oxford Student Scholarships) are offered to students from low-income countries who, for political or financial reasons, or because suitable educational facilities do not exist, cannot study for a degree in their own countries. Course Level: Scholarships are available for pursuing undergraduate degree level at Oxford University. Eligible Countries: Applicants must be nationals of countries who receive official development assistance from the Development Assistance Committee (DAC) of the Organisation for Economic Co-operation and Development (OECD):Afghanistan; Albania; Algeria; Angola; Antigua and Barbuda; Argentina; Armenia; Azerbaijan; Bangladesh; Belarus; Belize; Benin; Bhutan; Bolivia; Bosnia and Herzegovina; Botswana; Brazil; Burkina Faso; Burundi; Cambodia; Cameroon; Cape Verde; Central African Rep.; Chad; Chile; China; Colombia; Comoros; Congo, Dem. Rep.; Congo, Rep.; Cook Islands; Costa Rica; Côte d’Ivoire; Cuba; Djibouti; Dominica; Dominican Republic; Ecuador; Egypt; El Salvador; Equatorial Guinea; Eritrea; Ethiopia; Fiji; Gabon; Gambia; Georgia; Ghana; Grenada; Guatemala; Guinea; Guinea-Bissau; Guyana; Haiti; Honduras; India; Indonesia; Iran; Iraq; Jamaica; Jordan; Kazakhstan; Kenya; Kiribati; Korea, Dem. Rep.; Kosovo; Kyrgyz Rep.; Laos; Lebanon; Lesotho; Liberia; Libya; Macedonia, Former Yugoslav Republic of; Madagascar; Malawi; Malaysia; Maldives; Mali; Marshall Islands; Mauritania; Mauritius; Mexico; Micronesia, Federated States; Moldova; Mongolia; Montenegro; Montserrat; Morocco; Mozambique; Myanmar; Namibia; Nauru; Nepal; Nicaragua; Niger; Nigeria; Niue; Pakistan; Palau; Panama; Papua New Guinea; Paraguay; Peru; Philippines; Rwanda; Saint Helena; Samoa; São Tomé and Príncipe; Senegal; Serbia; Seychelles; Sierra Leone; Solomon Islands; Somalia; South Africa; South Sudan; Sri Lanka; St. Lucia; St. Vincent and Grenadines; Sudan; Suriname; Swaziland; Syria; Tajikistan; Tanzania; Thailand; Timor-Leste; Togo; Tokelau; Tonga; Tunisia; Turkey; Turkmenistan; Tuvalu; Uganda; Ukraine; Uruguay; Uzbekistan; Vanuatu; Venezuela; Vietnam; Wallis and Futuna; West Bank and Gaza Strip; Yemen; Zambia; Zimbabwe. Entrance Requirements: Not all colleges are able to offer Reach Oxford Scholarships every year. If you are accepted by a college that is not participating in the scheme, this will not prevent you from applying for and being awarded a scholarship. If your application is successful, arrangements will be made to transfer you between colleges. This scheme is only suitable for candidates who have received an offer and who are of the highest academic ability. Financial need and social commitment are also major criteria for selection. Applicants should be intending to return to their country of ordinary residence following their studies. Priority will be given to students who have not studied at the undergraduate level before. Introduction: You must make an application to the University of Oxford for an undergraduate course through UCAS by 15 October 2018, and be successful in gaining a place. You must make an application to the University of Oxford for an undergraduate course through UCAS by 15 October 2018, and be successful in gaining a place. Details on how to apply for a scholarship for 2019 entry will be made available on this page in January 2019. For 2019 entry applicants who apply by the 13 February 2019 scholarship deadline, the selection process will be undertaken in March 2019.